THE SPORTS FACILITIES ADVISORY REPORTS RECORD NUMBER OF MUNICIPALITIES SEEKING TO CAPITALIZE ON POTENTIAL ECONOMIC BOOM . . . . . .
Clearwater, FL (PRWEB) – Economic downturns lead to job losses and reductions in real estate values, thereby reducing tax revenue to local governments. Because local governments rely on tax revenue to fund day-to-day operations, a decrease in tax revenue means a decrease in state or municipal services. But one industry has continued to expand throughout the Great Recession and has the potential to provide much-needed revenue for municipalities: youth sports and sports-related travel sees over 50 million youth athletes participating in organized sporting events annually, creating an approximate economic impact of $7 billion (1). TheSports Facilities Advisory (SFA), a leading resource for the planning and management of new and existing amateur sports complexes and recreation centers, says the growth of sports tourism and the related potential financial impact can give municipalities the opportunity to participate in an economic boom. Sport tourism benefits host cities by providing “economic benefits as a result of sales in hotel fees, food and beverages, admission fees for tournaments, use of transports and other spending at the facilities (2) the end result being that different types of income are generated for the community, providing for an increase in spending, jobs and conservation of the local environment (3). SF’s CEO and founder, Dev Pathik, says municipalities can take advantage of the resilience of sports travel but these efforts need to be properly evaluated and planned. There are certain criteria that make a city attractive to events owners and other factors that make some cities unsuitable as a true sports tourism destination. The Harrisburg/Hershey area in Pennsylvania makes higher tourism revenue than more popular areas largely due to regional youth sporting events. In 2011, the most recent year for which statistics are available, the Harrisburg/Hershey region ranked fourth in Pennsylvania with $2.18 billion in visitor spending. The Dauphin County Commissioners approved distribution of more than $122,000 in hotel tax revenues with the majority being used to support youth sporting events. Commissioner Chairman Jeff Haste said the county’s investment in youth sporting events is influential in providing a significant economic impact (4). Pathik encourages making recreational activities more readily available to children with the addition of youth’s amateur sports complexes and recreation centers. In addition to steadying the economy, Pathik says that supporting youth sports and related tourism gives young athletes a positive outlet a fact that many parents can appreciate. Pathik cautions however, that cities not assume their facilities can be used for both sports tourism and local play. In some cases, Pathik says, cities that have attempted to use existing facilities discover that their facilities are not properly designed to accommodate the demand for sports tourism, as well as local recreation. 1.Spooky Nook Sports facility is located in Lancaster and touted as North America’s largest indoor sports complex. Spooky Nook opened in March and has already hosted several volleyball tournaments, attracting hundreds of players and their families to the area the complex will also be the home of the U.S. Women’s National Field Hockey team through 2022. 2.Rocky Top Sports World, an 80 acre state-of-the-art facility settled in the vacation hotspot of Gatlinburg, Tennessee is currently under construction and scheduled to open in Spring 2014. The $20 million development is leading to new jobs and will host court- and turf-based tournaments and events. 3.The Myrtle Beach Indoor Sports Complex. SFA and the city of Myrtle Beach are opening a new 100,000 square foot indoor sports complex in the spring of 2014. The complex feature eight indoor basketball courts, 16 volleyball courts and will host all manner of competitive sports and special events. SFA assists clients throughout the U.S. and around the world in planning, funding and managing sports and community recreation centers. SFA’s portfolio includes more than $3.5 billion in planned and operational facilities, as well as being the industry leader in the managing of such complexes. The company will assist in opening more than 1.5 million acres of additional indoor facilities, as well as 600 acres of outdoor facilities, within the next year. For more information about the Sports Facilities Advisory and its suite of planning-funding-opening-management services, visit http://www.sportadvisory.com/home.html. The Sports Facilities Advisory (SFA) is a leading resource in sports facility planning and management. The Sports Facilities Advisory has helped to plan, fund, open and manage dozens of multimillion-dollar sports complexes in communities throughout the USA and internationally since its founding in 2003. The company serves public and private clients. Its services fall into four main categories: plan, fund, open and manage, which encompass every phase from early stage feasibility studies to preparing financing documents, overseeing development and opening and full-time management services. SFA’s success depends on its mission to dramatically improve communities through the opening or optimization of sport and recreation centers. For more information, visit www.sportadvisory.com/home.html. 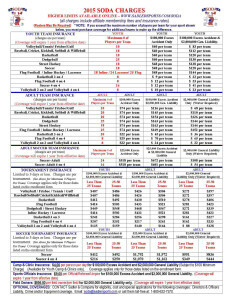 1.Lane, Matthew.“Youth Sports Could Have $10 Million Impact in Model City in 2013.Timesnews.net. N.p., 05 Aug. 2013. Web. 08 Nov. 2013. timesnews.net/article/9065811/youth-sports-could-have-10-million-impact-in-model-city-in-2013. 2.Olukoya, Jobi. “Impacts of Sport Tourism in the Urban Regeneration of Host Cities.” Academia.edu. N.p., May 2012. Web. 02 Dec. 2013. academia.edu/2480919/Impacts_of_Sport_Tourism_in_the_Urban_Regeneration_of_Host_Cities. 3.”How Tourism Benefits Communities.” Tq.com. Tourism and Events Queenland, n.d. Web. 02 Dec. 2013. tq.com.au/tqcorp_06/resource-centre/community-engagement/how-tourism-benefits-communities/how-tourism-benefits-communities_home.cfm. 4.Gilliland, Donald. “Youth Sporting Events Help Put Harrisburg/Hershey over Lancaster in Tourism Dollars.” Pennlive.com. The Patriot News, 07 Nov. 2013. Web. 27 Nov. 2013. pennlive.com/midstate/index.ssf/2013/11/youth_sporting_events_help_put.html. The Sports Facilities Advisory encourages cities to carefully evaluate the type, size, and setup of sports tourism ventures to take advantage of the recession-resistant sports tourism industry in a mending economy. The Sports Facilities Advisory is a SODA Affiliate and Consultant. 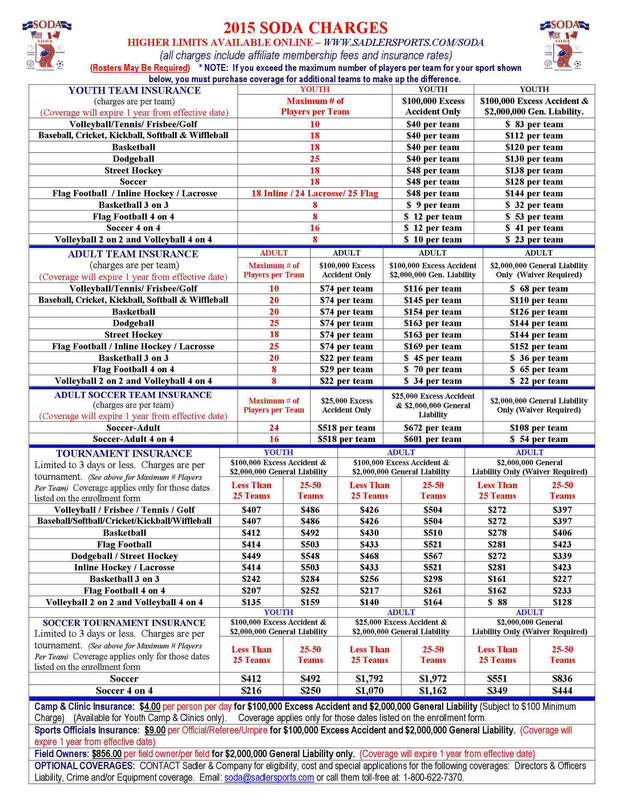 New SODA 2015 Amateur Sports Insurance Rates ! Snow tubing at Thomas Bull Memorial Park begins Saturday ! GOSHEN, NY — Snow tubing at the Orange County Snow Tubing and Winter Sports Park is scheduled to begin on Saturday, Jan. 10, and run through March 1, weather and conditions permitting. The park is located at Thomas Bull Memorial Park. A discounted fee of $15 is available to residents to use the Orange County Snow Tubing and Winter Sports Park; the cost for non-residents is $20. Proof of residency is required at check-in and the fee is good for a 90-minute tubing session. Days and hours of operation are Saturdays from 10 a.m. to 8 p.m. and Sundays from 10 a.m. to 5 p.m. 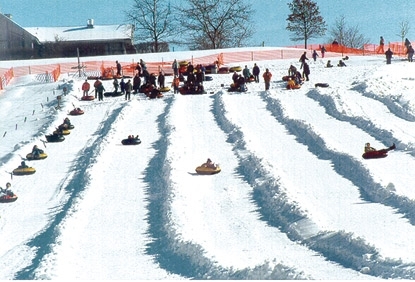 Snow tubing is also available on Mondays, Jan. 19 and Feb. 16 from 10 a.m. to 5 p.m.
Thomas Bull Memorial Park is located on Route 416 in Montgomery. Visitors are strongly encouraged to contact the park prior to arrival. Call 845-457-4949, 845-457-4910 or email parks@orangecountygov.com to confirm availability. The Orange County Snow Tubing and Winter Sports Park’s 800-foot snow-tubing hill features two cable lifts, groomed lanes, and specially designed tubes built for a thrilling ride. The park also features an ice skating rink, small sledding hill, and cross-country ski trails. Park visitors must provide their own equipment for these free activities, which are available as conditions permit. The Graham M. Skea Lodge, located at the crest of the tubing hill, offers beautiful views of the Hudson Valley and features a large stone fireplace. Visitors may bring their own food and drink as the lodge restaurant will not be open, and only non-alcoholic beverages are permitted. Work continues to complete Sportspark, El Paso, TX ! EL PASO, Texas – For years, El Paso County has not been able to use its Sportspark in far east El Paso to its full potential. It is located off of Zaragoza and Saul Kleinfield. Late last year, County Commissioners terminated the contract with the company hired to renovate the park and is now trying to resolve a dispute in court. Monday, commissioners unanimously approved to begin negotiations with El Paso company Carl Daniel Architects. The firm is no stranger to building baseball and softball parks in the area. The next step for the county and the architecture firm is to find a construction company to complete what was never finished. Carl Daniel Architects will begin working with the county as soon as this week to assess the park’s issues, write up a construction bid and present it to commissioners court. The firm’s project manager, Steve Franco is familiar with the county Sportspark. He was the project manager when it was first built nearly 30 years ago. “We are the original architects for the park that was constructed back in 1986, so we have an in-depth knowledge of what’s out there right now,” said Franco. Carl Daniel Architects was behind the Sunland Park Sports Complex, which is similar to the Sportspark, and the El Paso Community College Field of Dreams. “We have done some several major parks in the local area so we do have a good understanding of park design . We’ll be able to do a good job,”said Franco. County Judge Veronica Escobar maintains the county will not issue new debt to complete the park and taxpayers will not pay a penny more. Construction to complete the park could begin in mid to late March. No date of completion has yet been set.